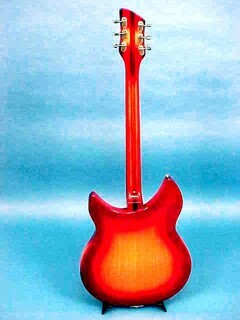 A model 1997 but with a 3rd vintage pickup. 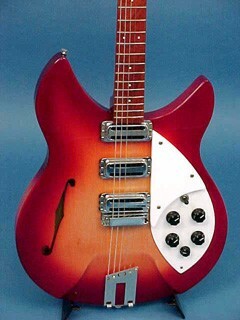 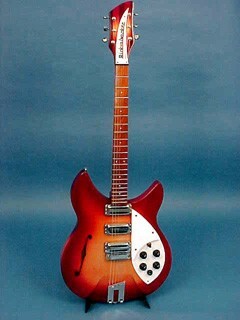 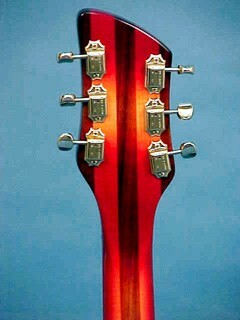 Model 1997 was issued in 1964 for distribution in Britain and was the most popular export instrument. 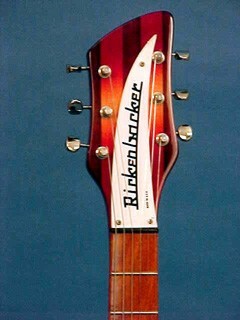 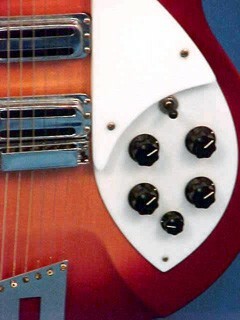 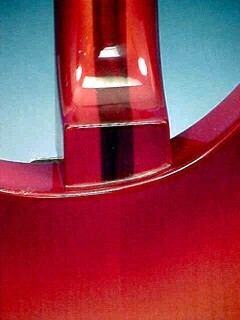 21 frets, violin sound hole and is available with vintage Rickenbacker vibrato (Model 1997SPC VB) or, as shown here 'trapeze' tailpiece. 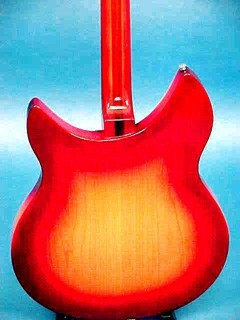 This model looks like the export model 1998.